Boxing / This girl can box! 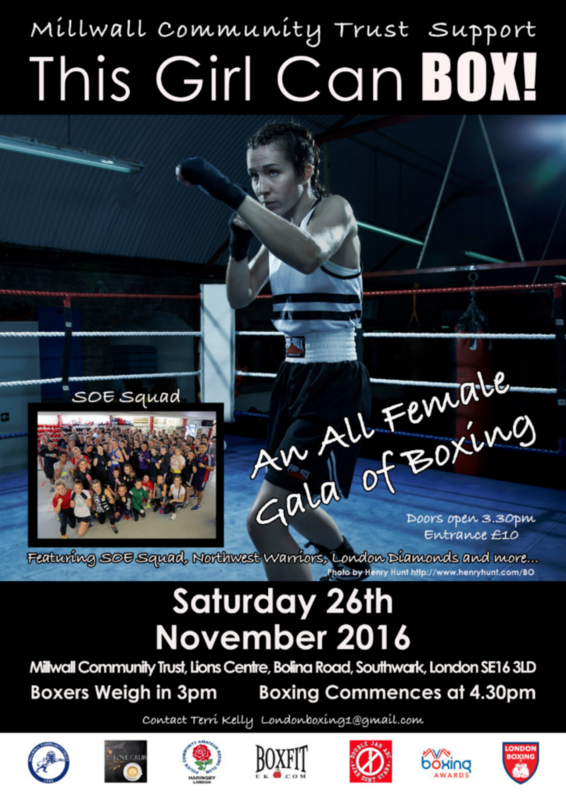 On Saturday 26 November London Boxing is hosting an All Female Gala of Boxing – This Girl Can Box! The event will feature the SOE Squad, Northwest Warriors, London Diamonds and more. 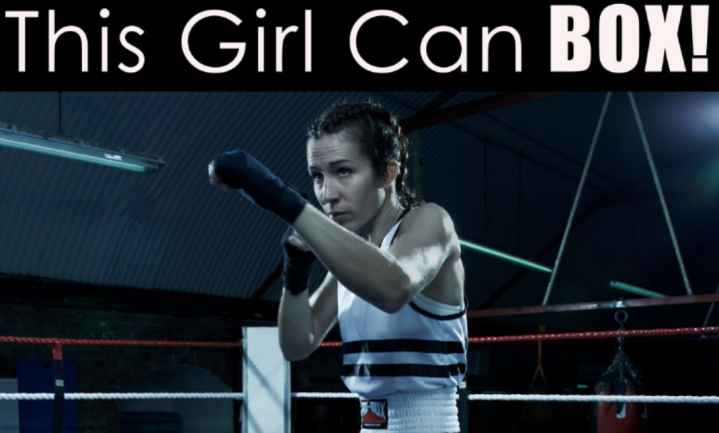 At the moment girls and women are included in every championship, which is great, but many find it hard to get on to club shows as these tend to favour male boxers and will often only host one or two female bouts. There are no short cuts to becoming a polished, elite boxer so it is necessary to encourage and provide more opportunities for females to box. This Girl Can Box! 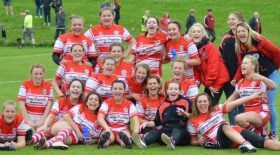 will showcase females at all levels: raw novice, intermediate and elite will all box alongside each other. The elite women, many of whom are regular squad members are role models to new boxers coming through, and many relish the opportunity to box alongside the more accomplished athletes. Sponsors are in place for trophies and the Best Bout but if you are interested in being a sponsor or providing items for the raffle please do get in touch. It is important to continue to raise funds and gain more sponsorship so that other shows and ventures can be put in place for the girls/women to progress and, for instance, it would be great for the team to take part in an event being planned in Sweden. Women’s boxing is gaining in popularity and whether the aim is just to keep fit or to train to become an elite boxer or just to have fun being part of a friendly club, it is a great activity. As is common with most women’s sport sadly, we need to raise the profile of women’s boxing, encourage more sponsors and increase participation and opportunities to participate in competition. With the support I see from across the country this will happen. This Girl Can Box! will take place at Millwall Community Trust, The Lions Centre, Boling Road, Southward, London SE16, 3LD, doors open at 3.30pm and tickets are just £10.00.